Mingle is a mobile social chat room network and a great way to meet new people around you or around the world. We put a big emphasis on user authenticity, which means we don't like fake people/pictures. We think its more fun to chat with real people, not bots and fakers, etc. That's why we focus on videos. It's the newest way to meet new friends. See videos of people around you. We have video profiles and social chat rooms where you can see videos of the people you're socializing with. There are many chat rooms to choose from. 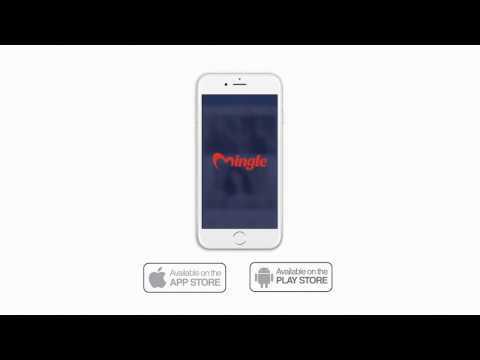 Mingle is the best mobile social chat app for socializing, and making new friends. They say a picture is worth a thousand words and a video is at least a thousand pictures! A video can communicate so much about a person and we want to let your personality shine through! That’s why we created a video focused social app for meeting new people. See clips of people near you and when you like someone, don’t be shy, just say hi! See videos of people around you. JustSayHi is a great new way to meet new people through videos. Upload your own video and make a match!They say a picture is worth a thousand words and a video is at least a thousand pictures! A video can communicate so much about a person and we want to let your personality shine through! That’s why we created a video focused social app for meeting new people.See clips of people near you and when you like someone, don’t be shy, just say hi!